Have you posted your resume online somewhere but forgotten about it? If so, you might want to find any copies and either update or remove them. It may seem like a difficult task if you’re not someone who spends hours and hours online. Here’s how to find and remove your resume from the internet. 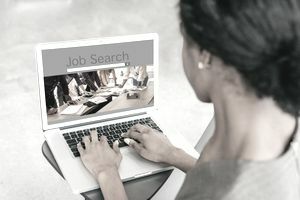 Having your resume online may not be that big a deal to you, but if your boss runs across it he or she may get the impression that you’re looking for another job. There may also be various privacy and security concerns when your personal information is floating around online. If you don't remember any of the places you have posted, removing your resume isn't quite as easy as you might think. So, for future reference, when you're job searching, it's a good idea to make a list of all the sites you are using. Keep track of all your usernames and passwords, and don't use the same ones for job sites as you do for your personal logins. Even better, create a new email account to use just for your job search. Use that email address for all your career-related accounts and keep a list of your passwords. Again, don't use the same password as you use for your personal accounts. It will not only be easier to keep track of your correspondence, but it will also help you protect your privacy and avoid identity theft. If you do have a list of the sites where you have registered and login information, you should be able to remove or make your resume private so it's not viewable by employers. If you don't have a list and/or don't remember where you posted your resume, the more important copies to remove are those that show up publicly. To find them, search Google by your name and the word resume. If you posted your resume so anyone can view it, it should show up. You can also search a bit more specifically and include some keywords that you know are on your resume. For example, search Google for your name, job title, and company. Another way to check where you have posted online is to go back through your old email messages. You should have received a confirmation email when you set up an account on the job board. You may also have received email messages from prospective employers. When you find an account you created, you will be able to log in and delete your resume or make it private so it's not visible to employers. If you don’t find any copies of your resume, you’re probably in the clear, but be sure to keep track of all job search activity going forward. If you found copies of your resume on the internet, you may be able to hide them without totally deleting them. With some job sites, especially those that have a networking component, you may want to leave your resume online, but limit who can see it. Check the privacy settings. You may be able to change your resume's visibility from public to limited or private. If you’ve decided that you do want your resume deleted, log in to the sites where you posted it and delete or remove your resume. If you don't remember your usernames and passwords, follow the instructions on the page for retrieving a forgotten username or a lost password. It only takes a few minutes to fix, but note that you’ll also need to know what email you used when you created the job site accounts. Once you’ve logged into the site, you should be able to find a link to your resume and it should be easy to delete. If you can’t figure it out, look for a “Help” link where you can search for instructions, or a “Contact Us” page and send a message to the website’s support team who can help you delete your resume. While you are checking around for your resume, take the time to update your online career-related accounts. You never know when you might need them in the future. If you have a LinkedIn profile take the time to update it with your latest employment information. If you an online version of your resume, and you want to keep the account, take the time to make sure that all the information is current.